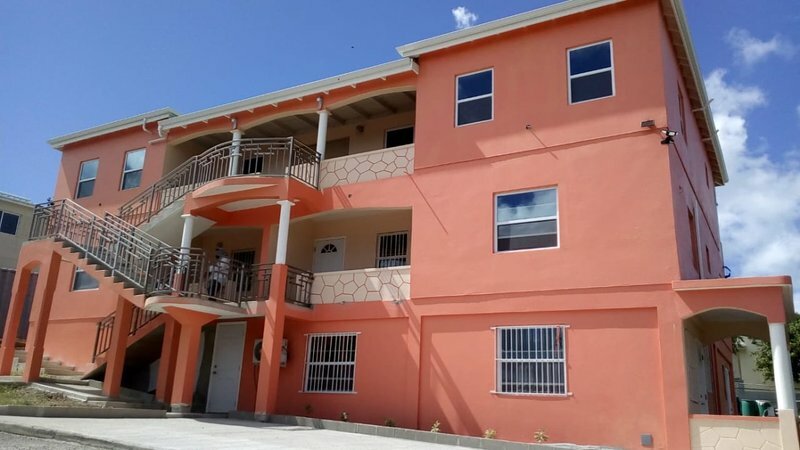 With less than 5 miles from VC Bird International Airport, these newly constructed, airy and beautiful 2 bedrooms 1 bath apartments are a perfect vacation rental home for people wishing to experience Antigua’s paradise on their own terms. We offer both short-term and long-term rentals. 6-panel solid steel entry door, motion sensor solar lighting outside the home for added security. NEW furnishings in each apartment, they have a front and back porch with seating, elevated ceilings, wifi, 10-inch deep organic mattress, queen size bed, 40-inch flat screen TV, ceiling fan and A/C all to ensure a restful and relaxing stay. 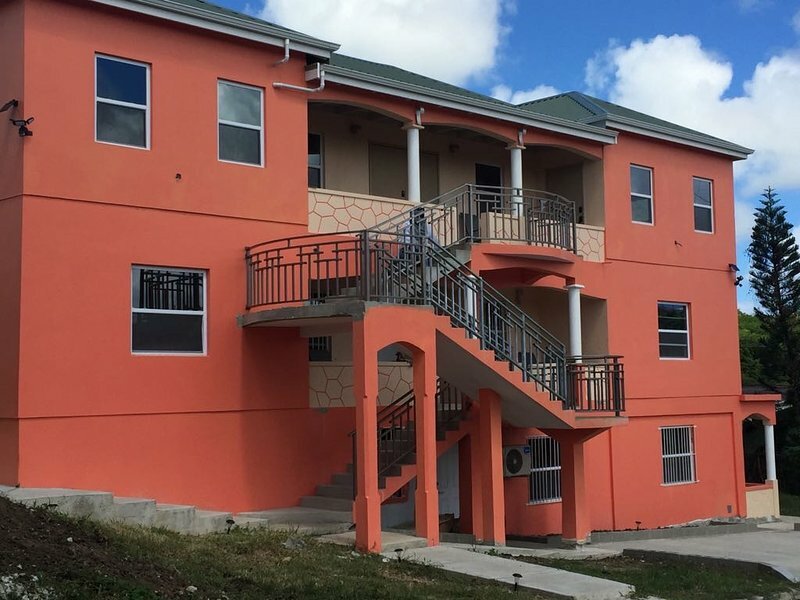 ...With less than 5 miles from VC Bird International Airport, these newly constructed, airy and beautiful 2 bedrooms 1 bath apartments are a perfect vacation rental home for people wishing to experience Antigua’s paradise on their own terms. 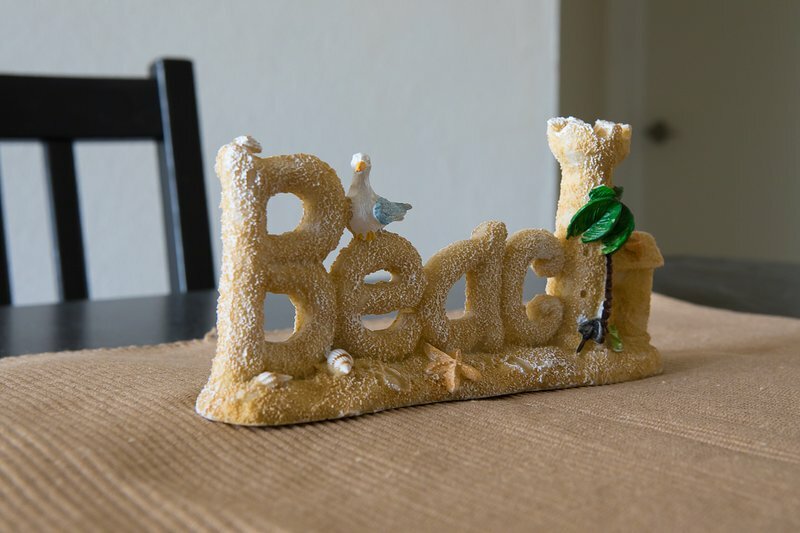 We offer both short-term and long-term rentals. 6-panel solid steel entry door, motion sensor solar lighting outside the home for added security. NEW furnishings in each apartment, they have a front and back porch with seating, elevated ceilings, wifi, 10-inch deep organic mattress, queen size bed, 40-inch flat screen TV, ceiling fan and A/C all to ensure a restful and relaxing stay. We will meet and greet guests upon their arrival. We will also be available 27/4 for emergencies or to assist the guests if needed.